Completed 2006. 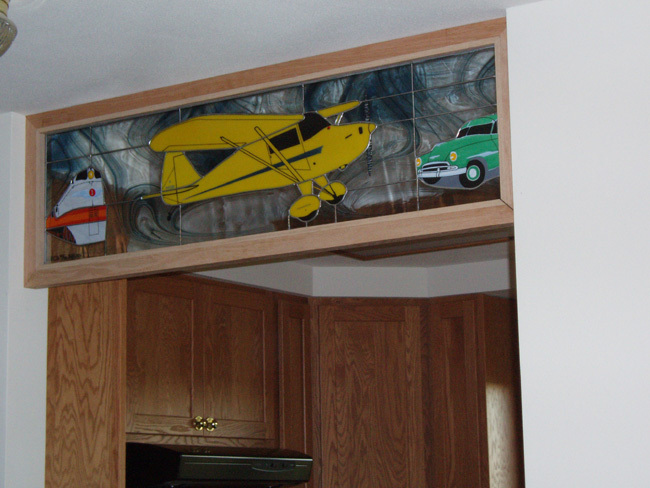 A different mix of interests depicted in this transom design. The customers’ main passion is the Piper Vagabond, but they also love toy trains and restoring old cars. Hence the Milwaukee Road ‘Hiawatha’ steam engine and the 1951 Chevy, which they affectionately call ‘Emma.’ Good for them.